Prescription Drug Injury Frequently Questions | Kennedy Hodges L.L.P. Have you suffered an injury after a prescription or pharmacy error? Get the answers you need to protect your rights. The lawyers at Kennedy Hodges L.L.P. have compiled a list of the most frequently asked questions in response to the overwhelming number of people who have suffered an injury after receiving the wrong prescription, wrong dosage, or incorrect instructions for use from their pharmacy. If you have been injured due to the negligence of another person, read on to learn how to protect your legal rights. My CVS pharmacy gave me the wrong medication and I was sick for days. They were very sorry about the prescription mix-up. Should I still file a case against them? CVS Pharmacy is one of the most popular pharmacy chains throughout Texas. Many patients use CVS as their preferred pharmacy because of the chain’s popularity, convenience, and branding. Incorrect medication. Customers were given medication that looked similar to the pills they should have received, or medications that have similar names to the medicines they were actually prescribed. Incorrect dosage of medications. Misread orders caused pharmacists to fill inappropriate dosages of drugs. Rather than 5 milligrams, a prescription might be filled with 50 milligram pills; or instead of 100 mg pills, the prescription was filled with 10 mg pills. Incorrect labeling and instructions. Mistyped or poorly read instructions lead to labeling errors such as encouraging the customer to take two pills once a day instead of one pill every two days. Fortunately, many of these errors go unnoticed because the patient suffers no lasting harm. Those errors that are noticed by customers tend to be “fixed” with an apology and a new fill of the prescription medication. However, for some customers, an apology isn’t enough to heal the damage that the error caused. It’s an unfortunate truth that pharmacies make mistakes from time to time and hope that customers will either ignore the mix-up or accept an apology and move along. Be that as it may, after representing thousands of individuals who have suffered from pharmacy errors, Kennedy Hodges, LLP knows that you deserve more than an apology: you deserve peace of mind. Your troubles may not be over. It’s hard to tell how long the effects of a medication mistake can last. Your insurance may provide for your needs now but may not cover a long-term condition. If it happened once, it could happen again. One benefit of a drug error case is identifying why the error happened—and how the company can keep it from happening to someone else in the future. Pharmacists care about people; pharmacies care about money. Your pharmacist may be a kind and caring person who made a mistake, but he may not be the problem. The company he works for will not change the way it does business unless it is forced to—and that means paying you for the company’s mistake. For more invaluable legal advice on your pharmacy prescription mistake, contact the attorneys at Kennedy Hodges today at 888-526-7616. We will be happy to evaluate your case FREE of charge. To read more about prescription error cases, request a FREE copy of our book, How to Make Pharmacies Pay for Your Injuries Caused by Medication Errors. I was given the wrong medicine by a CVS pharmacist, but I failed to check it before I took it. Can I still hold the pharmacy liable for my medical bills? After a prescription mix-up at CVS, who should I report the incident to? How do I know if the medications I’m taking could interact with each other and cause me harm? What are the potential side effects of Zoloft? Are they serious? What can I do if I suffer severe injury as a result of taking Zoloft? The problem is, it is that bad. Depression is a serious disease that affects over millions of people. In fact, according to the National Institute of Mental Health, an estimated 15.7 million adults aged 18 or older, or 6.7 percent of the adult U.S. population, had at least one major depressive episode in 2014 alone. If not treated, depressive episodes can severely affect brain function, mood, emotional response, physical activity (lack of motivation to do anything), and much more. When a person suffers from a debilitating mental illness such as depression, physicians sometimes recommend that they take an antidepressant drug as a form of treatment. The most common antidepressants are known as SSRIs (selective serotonin rteuptake inhibitors), and the most commonly prescribed SSRI is Zoloft. SSRIs work by controlling and adjusting the serotonin levels in the brain. Serotonin is a neurotransmitter thought to affect mood, sleep, and learning. When serotonin levels are absorbed by the brain, the mood stabilizers cease to work. Since the signals stop, the brain reacts by instigating “lows” or feelings of depression and anxiety. SSRIs block the reabsorption of serotonin in the brain, to ensure that there will be enough serotonin available to stabilize mood. Although extremely effective for depression, these types of drugs (especially Zoloft) have been known to be linked to potentially serious and life-threatening injuries. Birth defects. Zoloft and other SSRIs were associated with a 200 percent increased risk for pregnant patients to give birth to an autistic child. Other antidepressants had only an 87 percent overall increased risk. Serotonin syndrome. As the drug boosts the amount of serotonin in the brain, serotonin levels can quickly become too high. Too much serotonin an cause severe reactions including high blood pressure, hyperthermia (high body temperature), fevers, seizures, and increased heart rate that can lead to shock. Withdrawal symptoms. Zoloft has a half-life of about a day and can be completely out of the system within two days. However, once the brain has become dependent on the drug, serious withdrawal effects are likely if dosages are missed. The effects can include feelings of extreme anxiety, restlessness, agitation, aggressive behavior, and suicidal thoughts. Are You Eligible to File a Claim After a Zoloft Injury? If you or a loved one took Zoloft and suffered serious side effects as a result, you may be entitled to compensation. However, before filing your claim, make sure you have a strong case to pursue. Drug injury cases are difficult to win, and drug manufacturers have dozens of lawyers on retainer for just such incidences. Therefore, you must be sure that your claim is legitimate before you waste your time and money on a fragile case. Below are a few factors that can help you determine your eligibility. Did you take Zoloft to treat depression? Did you always take the drug as prescribed by your physician? Did you suffer severe side effects that are known to be a result of the drug? Did the side effects directly cause severe injury? Can you prove it? Did the manufacturer, pharmacy, doctor, or other party fail to provide you with adequate warnings or instructions regarding the use of the drug? Depending upon your answers to the above questions, you may wish to consider pursuing a legal claim. Assessing whether a person has a claim for compensation after using a dangerous drug requires the guidance of an experienced legal professional. It’s important to act quickly, however, since strict time limitations may apply. Contact our office today at 888-526-7616 when you’re ready to learn more about this unpredictable drug and your legal rights following adverse effects. Is the pharmacy technician responsible for the pharmacy error that caused me harm? At any pharmacy, the pharmacy technicians play an important role in running the practice. Pharmacy technicians are responsible for providing an extra layer of safety for the pharmacist. Unfortunately, the pharmacy technician is just as susceptible to committing an error as any other employee at the pharmacy. At the time the prescription is dropped off. If the pharmacy technician fails to obtain critical patient information from each patient, an error may occur. Examples of critical information include the patient’s date of birth, allergies, and medical conditions. At the time the order is entered. 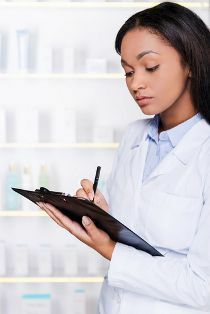 When a pharmacy technician enters a drug’s name, a risk of error may occur when the drug is new and unfamiliar to the technician. There is also a potential for simple human error when entering information into the computer. At the time the prescription is filled or dispensed. Often, errors occur during the time of filling or dispensing of the medication because the pharmacy technician incorrectly reads a label. This is compounded by something known as “confirmation bias.” Confirmation bias is where a person selects what is familiar to them or what they expected to see on the label rather than what is actually there. At the point of sale. Pharmacy technicians may also make drug errors at the point of sale. Even if the prescription is filled correctly, it could potentially be dispensed to a person that it was not intended for. The risk becomes higher if the technician does not use a second identifier for the patient picking up the prescription. To reduce the chance of an error, the technician should ask the person picking up the medication for the patient’s address or date of birth and check it against the information on the prescription receipt and vial. If you were injured by a pharmacy error, we can help. We encourage you to contact us today for a consultation at 888-526-7616. Why are manufacturers continuing to sell laparoscopic power morcellators despite known cancer risks? Unfortunately, even though the use of laparoscopic power morcellators has known risks, the American College of Obstetricians and Gynecologists (ACOG) continues to stand behind the use of the device in some surgeries. The ACOG notes that the device makes it possible for some women to undergo less invasive procedures in order to spare them longer recovery times and higher mortality rates that are associated with more aggressive treatment. As a result, the device is recommended for women who are at low risk for having an undetected malignancy at the time of the procedure. Manufacturers continue to make the power morcellators in order to meet this need. Ask your doctor about the potential complications, including how often they occur. Ask your doctor about the results of his previous surgeries. Ask who will be performing the procedure. Consider having a hysterectomy or myomectomy without laparoscopic power morcellation instead. This is a more traditional, open surgery. Consider whether you are a candidate for a more minimally invasive operation that does not involve the use of the power morcellator. Consider a hybrid laparoscopic operation where one of the laparoscopic incisions is widened or a small incision is made through which the uterus is removed. Women who have already undergone a procedure with a power morcellator that are now facing harm as a result must take the proper steps to protect their legal rights. We are here to help. We encourage you to contact us today for a consultation at 888-526-7616. What are the allegations being made against the manufacturers of transvaginal mesh? For women suffering from pelvic floor issues, transvaginal mesh was in many cases presented as a safe and effective method for treating their condition. Unfortunately, it is now known that the use of transvaginal mesh is associated with risks of potentially serious side effects and complications. Many victims are pursuing claims against the manufacturers of transvaginal mesh as a result. Manufacturers had a legal obligation to ensure the safeness of their products. Manufacturers actively and intentionally mislead the U.S. Food and Drug Administration (FDA), as well as the medical community, patients, and the public, with regard to the safety and effectiveness of transvaginal mesh. Manufacturers failed to conduct the proper tests to assess the risks associated with the use of transvaginal mesh. Manufacturers failed to properly research the potential risks of the use of transvaginal mesh designed to treat female pelvic floor disorders. Manufacturers failed to establish a safe way for removing transvaginal mesh. Manufacturers did not provide adequate warnings of the potential complications and injuries that may result from the use of transvaginal mesh. Manufacturers committed fraud in their production and sale of transvaginal mesh. Manufacturers intentionally concealed the risk of permanent and debilitating injuries associated with transvaginal mesh. Pursuing a legal claim against a drug manufacturer requires victims to act quickly in order to protect their legal rights. When you are ready to learn more, we encourage you to reach out at our toll free number, 888-526-7616. What are the risks associated with villous atrophy caused by taking Benicar? Patients who are suffering from high blood pressure may be described Benicar. Unfortunately, the use of this drug may trigger a complication known as villous atrophy. Villous atrophy is a long-term gastrointestinal problem that can prove to be extremely debilitating for those suffering from the condition. There are many different types of complications that can be triggered by villous atrophy following Benicar use. Hospitalization may be required, sometimes for many weeks or even months. This is due to the inability to properly absorb food and water associated with villous atrophy. Benicar users suffering from villous atrophy may suffer severe dehydration. Benicar users suffering from villous atrophy may suffer severe malnutrition. Benicar users suffering from villous atrophy may suffer from kidney failure. Patients may require IV fluids and nourishment that is fed directly into the bloodstream. Patients may face rapid weight loss and chronic diarrhea. Patients may suffer from iron deficiency anemia. If you or a loved one took Benicar and suffered complications as a result, we can help. You may have a claim for compensation against the drug’s manufacturers. It is important to act quickly, however, as strict time limitations do apply. When you are ready to learn more, we encourage you to reach out at our toll free number, 888-526-7616. What should I do if I was injured as a result of the use of a power morcellator? Like many women, you may have undergone a procedure to remove noncancerous growths from your uterus. During the process, your physician may have used a power morcellator. This device is also used in performing hysterectomies, and certain kidney and spleen surgeries. Regardless of the type of procedure that you underwent, you may have been injured as a result of the use of a power morcellator. This device has been shown to spread or aid in the development of rare and aggressive cancers. 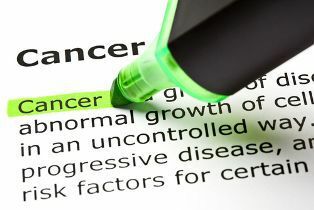 With treatment costs high, it is crucial to take the proper steps after you discover your cancer in order to protect your legal rights. Contact an experienced attorney. If you were injured as a result of the use of power morcellator during a medical procedure, you may have a claim. However, your best chance for success in pursuing this claim is to have the guidance of a knowledgeable attorney in your corner. Obtain medical records relating to the procedure in which the power morcellator was used. If you developed cancer as a result of the use of a power morcellator, gather all of your medical records relating to this condition. It is important to show that the use of the power morcellator is directly responsible for the development or spread of your cancer. Keep records of all of your expenditure relating to the treatment and rehabilitation of your condition following the use of the power morcellator. Obtain statements from the doctors and nurses who performed the procedure if possible. If you are unable to return to work as a result of your condition, calculate your lost wages. Avoid speaking with insurance companies, hospitals, or other parties about your potential legal claim without first consulting your attorney. Actions or statements made without the guidance of your attorney can ultimately harm your claim. Ready to learn more about pursuing a legal claim? We encourage you to reach out at our toll free number at 888-894-0119. Should I consider filing a claim if I took Benicar and suffered gastrointestinal problems as a result? Like most patients, you may have listened carefully to your doctor and taken his or her advice when he prescribed the drug Benicar for your high blood pressure. As patients, we rely on the knowledge and expertise of our medical professionals when it comes to our health. It is an unfortunate reality, however, that some of the drugs that are prescribed for common medical conditions will ultimately be found to create more harm than good. Studies have now shown that Benicar is one of those drugs. If you have taken Benicar and now suffer from gastrointestinal problems, you may have a claim for compensation against the drug’s manufacturer. As a result of taking Benicar, you may now find yourself facing steep medical bills, ongoing treatment, and an inability to return to work while you attempt to recover from the damage caused by the drug. You also may have grounds for a claim against Daiichi Sankyo for compensation for your losses. It is important to act quickly, however. We encourage you to contact us today for a no obligation case review at 888-526-7616. How do factor X inhibitors like Xarelto work? Does this make them more dangerous than other anticoagulants? It’s been 12 days since the attack. You were climbing up your stairs when you suddenly felt a sharp pain in your arm. Your vision went blurry and it felt as though someone was sitting on your chest. Fortunately, your daughter was home and called an ambulance. You were rushed to the hospital where you were told that you were having a heart attack. After undergoing emergency surgery (due to a blocked artery), and spending 11 days in recovery, you were finally about to be released. But first you had to have a lengthy conversation with your surgeon. As part of the discharge process, your doctor explained that you would have to complete some physical therapy, as well as take some treatment medication. He told you that due to the fact that you were taking other medications, instead of prescribing you the blood thinner Warfarin to avoid blood clotting, he wanted you to try Xarelto. Although you would generally take a doctor’s recommendation without much debate, you had heard rumors about Xarelto’s efficacy. Therefore, before agreeing to take the drug, you made sure to ask him the following questions. How exactly does it work? How is it different than Warfarin? In his opinion, is it safer than Warfarin, or should you revisit the medication you’re currently taking in order to be able to take the more common of the two drugs? The management of blood clotting is an extreme concern for doctors, surgeons, and patients alike. According to the Centers for Disease Control and Prevention, an average of 500,000 people suffer adverse blood clot effects every year. Fatal complications affect an estimated 17 percent of these suffers, or in other words, 100,000 of those who suffer from blood clots will most likely die as a result. Due to these alarming facts, blood thinners (anticoagulants) have become a necessary market for blood clot prevention. As of five years ago, the most common anticoagulant used was Warfarin (Coumadin). However, due to concerns over the fact that certain medications and foods (those with high concentrations of vitamin K) can disrupt Warfarin’s potency, drug companies have been working on new anticoagulants that prevent clots without disrupting the body’s natural vitamin K production. Not only do these drugs, called Factor X Inhibitors, eliminate concern over medication and food problems, but they also allow doctors more options when prescribing a blood thinner. However, recent investigations into the function differences of these two drug types, has raised whole new concerns over the safety of X Inhibitors. Although factor X inhibitors have been widely publicized to control clots faster and more efficiently than vitamin K antagonists, the main concern with them is the lack of antidote. Since the drug focuses on the composition of the blood and controls the function of enzymes, instead of just removing a factor, there is no way to reverse the process if needed. This means that if you’re taking Xarelto and accidentally injure yourself, there is no way to stop the bleeding since the drug makes it impossible for clots to form and heal the wound. However, if you were taking Warfarin, the introduction of previously denied vitamin K will reverse the effects and allow the blood to clot and stop the bleeding. Make sure your family and friends are protected by sharing this page with them via Facebook or tell them to contact us directly to discuss any potential questions or concerns they may have about drug effects. The consultation is free, but knowing your options for the future is worth a lot more than a phone call. Contact us today to see how we can help you and your family get the comfort, support, and compensation you need after suffering the effects of a defective drug. What should I look for on my prescription labels to make sure my pills are safe? You and your husband both suffer from heart irregularities. You were diagnosed with bradycardia, a slow heartbeat, while your husband suffers from tachycardia, a fast heartbeat. You always joke that when you’re together your hearts level out and beat as one normal rate, however to actually make that happen you both have to take medications. You take digoxin in order to level out your heart rate, while your husband takes an antiarrhythmic medication to slow down his heart rate. Normally, you pick up your prescription a week before your husband picks up his prescription. Not only does this help prevent confusion with whose pill is whose, but it also allows you to remind him to call his in before he runs out. Unfortunately, this well thought out plan failed this month, as a result of your husband going out of town. Instead of the week difference, your husband called in his prescription on the same day that you were picking up yours. Due to the confusion, and the fact that you both have the same last name and address, the pharmacist accidentally gave you his pills instead of your own. Not thinking that this could be a possibility, you paid for them and took them home. Before bed, you absentmindedly popped “your” pill and snuggled into your bed to read. It took about 45 minutes before you started to feel funny. You got incredibly dizzy, and couldn’t seem to catch your breath. You were just about to call an ambulance when your husband came home from work with a pharmacy bag. He came into the room laughing that you had apparently picked up his medication by mistake. His laughing stopped as soon as he took one look at you. As he stooped down to take your pulse, you explained that you had taken one of his pills thinking they were your own. His face became white as a sheet as he grabbed the phone, dialed 911 and told you your pulse was only 40 beats per minute. How could you be so stupid? You’re usually so careful. Why didn’t you check the label before taking the darn pill? According to a study performed by the National Institute of Health, 25 percent of all medication errors are attributed to name confusion, and 33 percent to packaging and labeling errors. This means that thousands of people every year are injured, hurt, and even killed because a pharmacy misprinted a label, or they themselves failed to properly check their prescriptions. This is why, no matter how long you’ve been taking a particular drug, or how long you’ve been going to the same pharmacist for your prescriptions, you need to always check the label to make sure you’re getting what you’re supposed to be taking. Your name – Make sure that the prescription the pharmacy gave you is actually your own, especially if you have relatives who fill their prescriptions at the same pharmacy. People have been known to accidentally receive prescriptions intended for their siblings, parents, or even total strangers with the same first or last names. Expiration date – Even if you just picked up the prescription, make sure the expiration date is at least a month away before taking it. Mistakes have been known to occur where the pharmacy holds an old prescription—either you forgot to pick it up or it was filled without your knowledge—and accidentally gives you the expired one by mistake. Quantity – Double check that the quantity of pills within the bottle match the amount of days in which you’re supposed to take them. This will help you keep track and make sure you paid the right amount for the quantity. Correct dose – Keep track of all your medication doses in order to compare them to the prescription labels. Always make sure that the pharmacy has given you the correct dose, or has spoken to you if the pills have changed doses and requires you to cut the new ones in half or take more. Verify with your doctor before modifying your dose—no matter what the pharmacy says. Although you should be able to trust that your pharmacy is giving you the correct prescription, you should never put your health in the hands of an assumption. Even though it may be annoying, every time that you pick up a new prescription, open a new bottle of pills, or dole out your medication, make sure you double check the label. Individual states are attempting to crack down on pharmacies for a reason, and you don’t want to wind up as just another victim of mislabeling or faulty filling of medications. Check your prescriptions before you take them as an added health precaution. Don’t allow your friends and loved ones to suffer the consequences of a pharmacy mistake. Use your social media to like and share this page via Facebook, or tell them to contact us directly to discuss any potential questions or concerns they may have about a recent accident. Remember, they may not know their risks until it’s too late. By clicking the above media icons, you can help prevent a tragic accident. ?What are the potential side effects of Zoloft? Are they serious? What can I do if I suffer severe injury as a result of taking Zoloft?